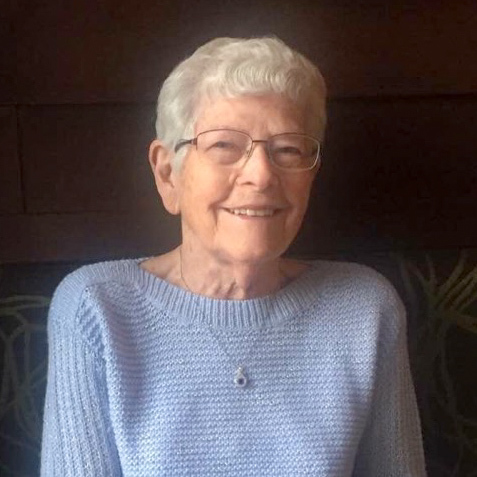 Marylin Jean (Michael) Ballew, 86, joined her Lord and Savior Jesus Christ, and her husband of 63 years, Ralph, on January 13, 2019, with family at her side. Visitation will begin at 1:00 pm, followed by a service celebrating Marylin's life at 2:00 pm, on Thursday, January 17, 2019, in the chapel at Pleasant Valley Baptist Church, I-35 at State Route 291, Liberty. Burial will follow in Lawson Cemetery, Lawson, MO. In lieu of flowers, memorials are suggested to Autism Speaks or to St. Jude Children's Hospital. Marylin was born October 11, 1932, in Polo, MO, the daughter of John Henry Michael and Carrie Toothman Fields Michael. Along with her parents, Marylin was preceded in death by her husband, Ralph Harding Ballew, grandson-in-law, Edward Files, eight brothers and three sisters. Marylin and Ralph lived in Lawson from 1958 until 2005 when they moved to the Liberty area. She was a member of Pleasant Valley Baptist Church and former member of Excelsior Springs Baptist Church. Survivors include her children, Cheryl Kohlsteadt (Allen) and Paul Ballew (Jennie); grandchildren, David Ballew, James McDonald and Dana Ballew Files; great grandchildren, Brandon Ballew, Logan Ballew, Grace Files and Layla Files; as well as many nieces, nephews, and other family members. Marylin was dearly loved and will be greatly missed by all her family and friends. Visitation will begin at 1:00 pm, followed by a service celebrating Marylin’s life at 2:00 pm, on Thursday, January 17, 2019, in the chapel at Pleasant Valley Baptist Church, I-35 at State Route 291, Liberty. Burial will follow in Lawson Cemetery, Lawson, MO. We are so sorry for your loss. Our thoughts and prayers are with you all! Much love! Deepest Sympathy to the family @ this time. What a beautiful sole this young lady had. Always a smile on her face and a joy to watch move around. She graced several in her life time and we were blessed to see her in Woodneath. We will miss seeing her driving up the street. RIP sweet lady.